Do you ever wet a line, muchachos? I do. Or I used to, anyway, when things were a little slower. 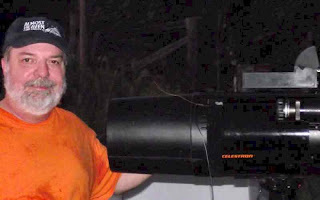 I wouldn’t be surprised if you were a fisherman, since many amateur astronomers seem to be, at least in my part of the country, south of the Mason-Dixon Line. Truth is, amateur astronomy and angling have a surprising amount in common. Both are, of course, pursuits for the patient. An antsy person ain’t apt to have much fun waiting for a bite or for a sucker hole to open up. Angling or astronomy can be practiced simply and for little $$$, or for as many greenbacks as you want to throw at the cause. Both seem to attract more than their share of two seemingly opposite types of people: those who want to relax, and those who are obsessed. Obsessed? Yeah, about catching the biggest bass or the littlest LEDA galaxy and willing to spend as much time and money as it takes to fulfill the quest. Unk as fisherman or astronomer? I guess I was always more on the obsessed side than the relaxed. As a young sprout, I waited for Saturday morning fishing trips down to our little creek, Spring Creek, with all the impatient eagerness of today’s wait for the Moon to darken so I can get down to Chiefland again. 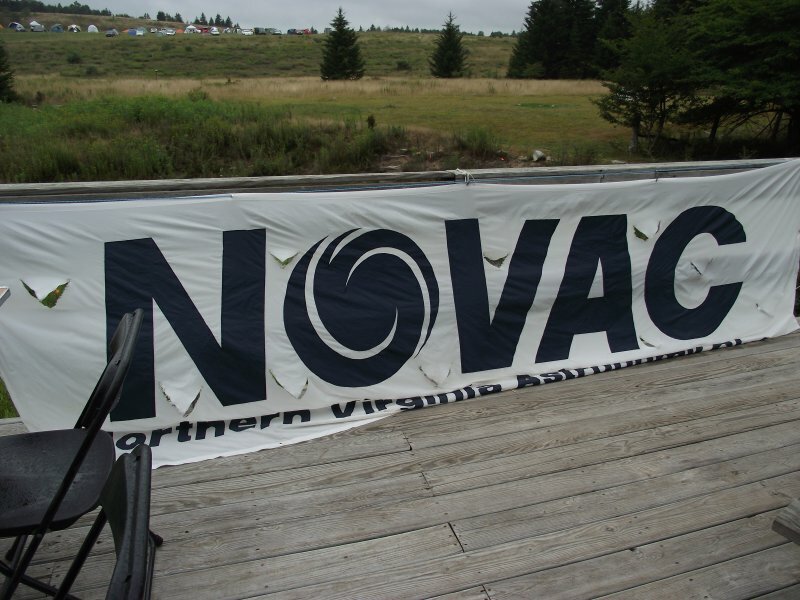 Another thing fishing and amateur astronomy have in common is gear. When winter winds were blowing and I couldn’t get out with my rod and reel, I contented myself by inventorying my fishing stuff, obsessing over whether that new lure was really as good as my buddies said and scheming to get the bucks together for a Zebco Model 33. That was the holy of holy of spin-casting reels for us younguns, staring down at me in the sporting goods section of Sears, a silvery vision of all that was wonderful about fishing. 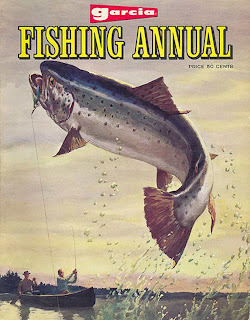 I’d become even more obsessed as spring came in and that fascinating and wonderful Garcia Fishing Annual hit the newsstand. I’ve transitioned almost wholly from rods and reels to telescopes and eyepieces, but otherwise it is just the same. I wait for the Moon to get out of the way with the same breathless anticipation. I am constantly fiddling with my gear, wondering whether that new eyepiece is as good as my buddies say it is. I stare up in wonder (virtually, anyway) at that holiest of SCTs, the Celestron HD 1400 Pro, which represents all that is wonderful about astronomy. I drool over the Orion catalog as soon as it drops through the mail slot. Why is it that no astro-vendor makes a decent case for astronomy widgets? Oh, almost all sell cases for eyepieces, but nothing for the small items: flashlights, filters, scope parts like diagonals and visual backs, and on and on? You got me, but it doesn’t matter. The fishing section of Bass Pro (or Cabelas or Academy or whatever) has got what you need, and it is probably more suited to the task than anything an astro-stuff pusher would come up with anyway. What is Unk talking about? Tackle boxes. 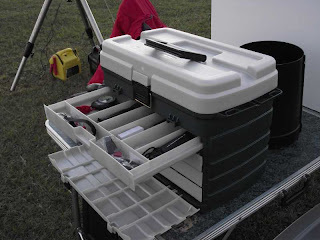 Some folks use toolboxes for the small astronomy junk, but tackle boxes are better. They are designed to corral small items, and are, most importantly, designed to allow you to get at those small items in a hurry. They are also usually sturdily built of bump and salt-water (or dew) resistant plastic. OK, so a tackle makes a good astro-junk box. What do you look for in one in particular? Most of all, do not get one that is too small. You probably have more stuff than you think. It is likely scattered over several boxes of gear and will fill a surprisingly large tackle box. What else? The candidate box must be strong, so do not low-ball it. In my experience, tackle boxes in the fifty buck range are about right. That might seem like a lot of dough, but when you tote up the cost of the stuff you are gonna put in it, especially if you include LPR filters, you will find you are buying something to carry and protect hundreds of dollars worth of gear. You also want a box that is versatile. Look for one that has at least some larger-than- fishing-lure compartments. Even better is one that has compartments that can be adjusted in size by removing/replacing plastic dividers. It would also be well to look for a box that has a large non-compartmentalized section for things like star diagonals and what-not that won't fit in the trays. Finally, pick one that makes it as easy as possible to get the stuff out. 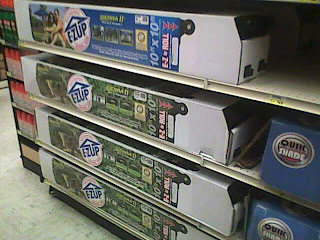 I find that is fulfilled by tackle boxes that have slide-out drawers or trays. The former is far easier to deal with in the middle of the night. If the tackle box you choose has slide out trays, you will usually have to completely remove them from the box and open a cover to get at your stuff. My needs are being very well met by a Plano 758. It is large and has four nice drawers in the front which easily hold my fifty years accumulation of accessories without complaint. It’s sturdy as it needs to be, loaded down with about 20 pounds of junk, and has allowed me to consolidate three separate accessory cases, meaning that, while it takes up quite a bit of space in the truck, I still save space when packing. Only downcheck? I wish it had a wee bit more non-compartmentalized space. What it has (under the top lid) is sufficient, but just. Chances are you will need at least one other case for less frequently used items. Things you will not use every run: tools, electronics like multimeters and GPS receivers, batteries, cables, etc., etc. The fishin’ store still has you covered, but you will probably need to mosey out of the angling department and on down to the hunting section. There you will find cases that look sorta like surplus Ma Deuce .50 cal ammo boxes. 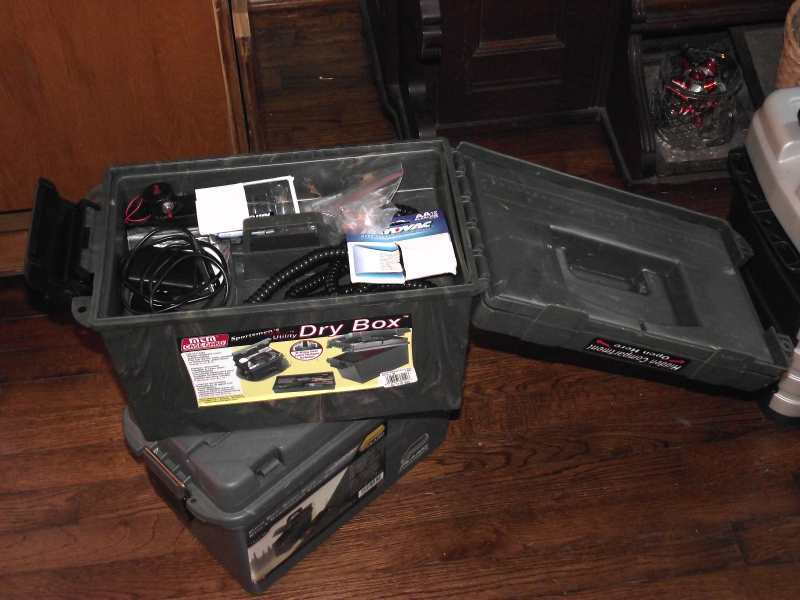 That was the inspiration, anyhow; you will find these things, usually known as “dryboxes,” are larger—wider anyway—are made of plastic, are weather resistant, and have compartmentalized trays. Every one of these boxes I’ve seen has been uber sturdy and waterproof, and I used them as my only accessory cases before I figgered out tackle boxes are better for frequently used items. 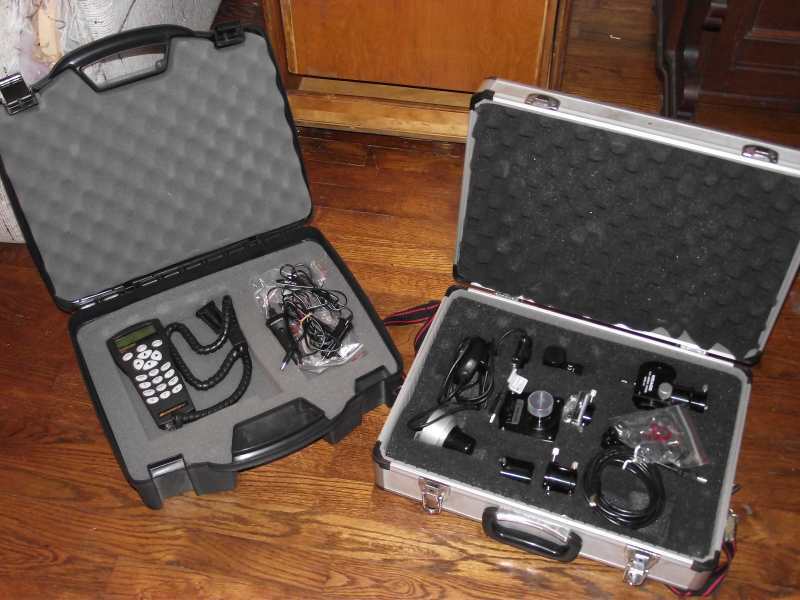 I’ll be honest: my main eyepiece case came from Orion ten or fifteen years ago. But that was because I bought it just before the home improvement and sporting goods stores began to fill up with cheap aluminum eyepiece cases, a.k.a. “tool attaches” or “pistol cases,” from China. Some of these cases are identical to what I got from Orion; some are actually better—with a sturdier, reinforced build. Almost always they are cheaper. There’s only one catch: you have to find a case with “pluckable” foam or provide that foam yourself. Pluckable foam is scored/diced so square pieces of it can be removed easily, allowing you to make customized recesses for eyepieces. Uncut foam is devilishly hard to work with. Some folks have had success soaking it in water, freezing it, and cutting it with a very sharp knife. Don’t sound pleasant to me. Orion has sold blocks of pluckable foam in the past, so you might check with them if your case didn’t come with any. A step down from the aluminum cases are the black plastic boxes often sold in the firearms/hunting department as pistol cases. They are not as pretty as the aluminum jobs, but they are every bit as useful and will keep your gear just as safe. One thing I discovered about them? They often have pluckable foam, it’s just hidden. Pulling out the top layer of foam will sometimes reveal a hidden, pluckable layer that can be placed on top and customized as you see fit. 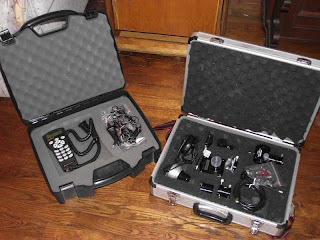 These cases work so well, are so light and waterproof, and are so attractively priced that I've stopped buying the aluminum jobs for my still expanding arsenal of telescope junk. One thing I get asked occasionally is whether the foam in Chinese cases will “outgas” and harm eyepieces of other optical gear. Some of it is pretty smelly, and you might want to let it air out for a day or two after you get it, but I have never ever had a problem with it depositing anything on eyepieces, nor have I ever heard a convincing story of that happening to somebody else. Let’s say that, like your old Uncle Rod, you often go to multi-night star parties, but, unlike Unk, you don’t mind sleeping in a tent. OK, let’s head over to the camping section. I don’t tent camp much anymore. I like to be cool and comfortable and have cable TV and wireless Internet so I am both rested and entertained and ready to face the coming long night of observing. 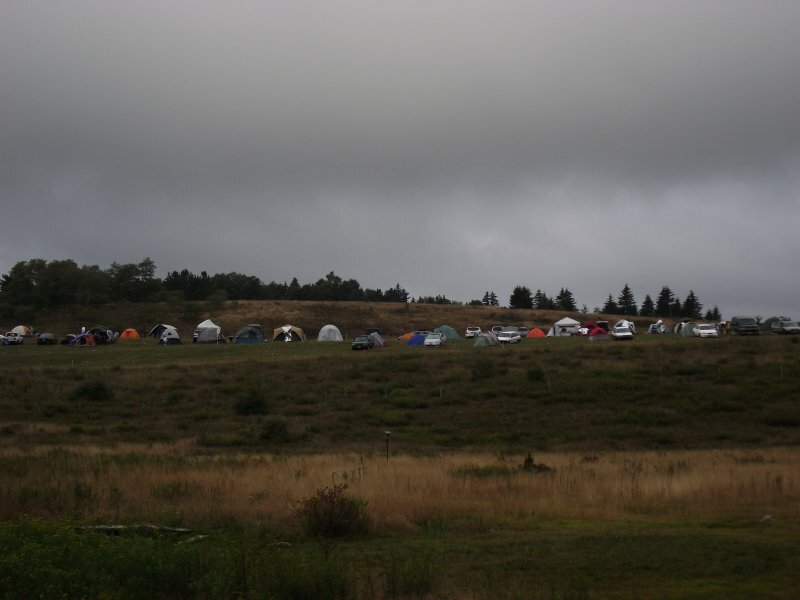 Not all star party or dark site venues have accommodations onsite or nearby, however. Or, you may, like Unk feared he would be last year, in reduced circumstances and have to economize (luckily didn’t happen to me). Maybe you just like tents. 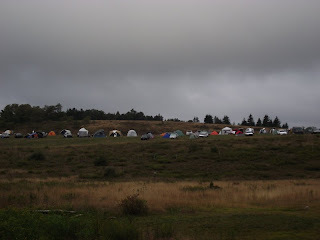 I don't like tents much anymore, but I can give you the broad guidelines about choosing one. Most important thing? If you’re going to be in the tent more than one night, for god’s sake don’t get one that is too small. You want plenty of room for cots or air mattresses and everything else you need to put in the tent. 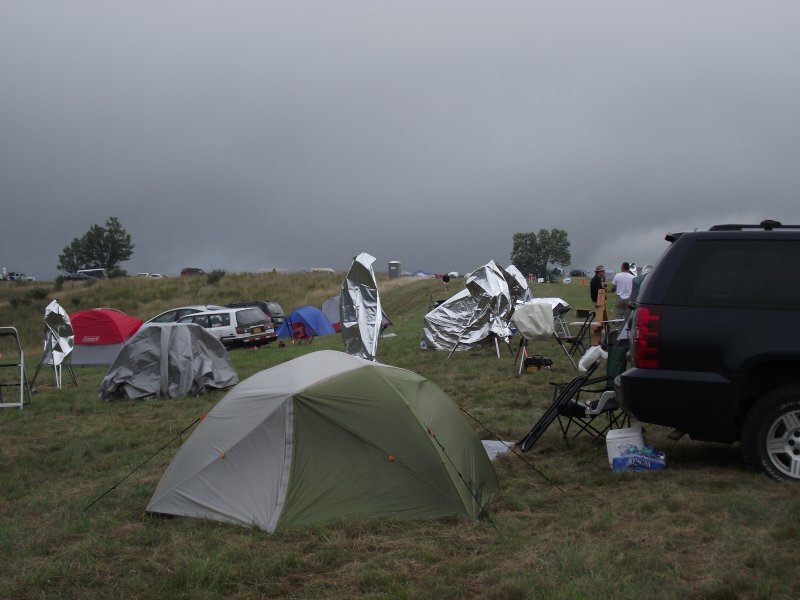 Most critically, NEVER consider a tent you cannot stand up straight in. Changing clothes or doing anything else is a maximum pain in the rear if you are hunched-over all the time. What else? If you are flying solo, choose a tent that is easy to erect. 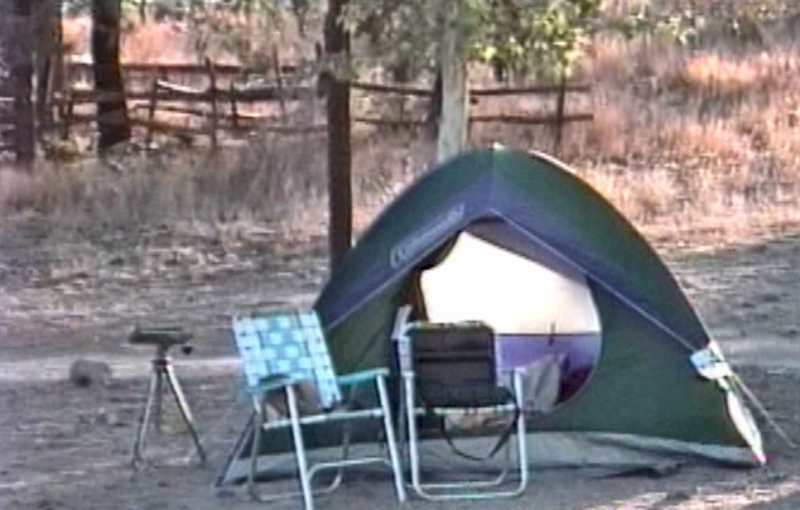 Even if you ain’t flying solo, choose a tent that is easy to pitch. 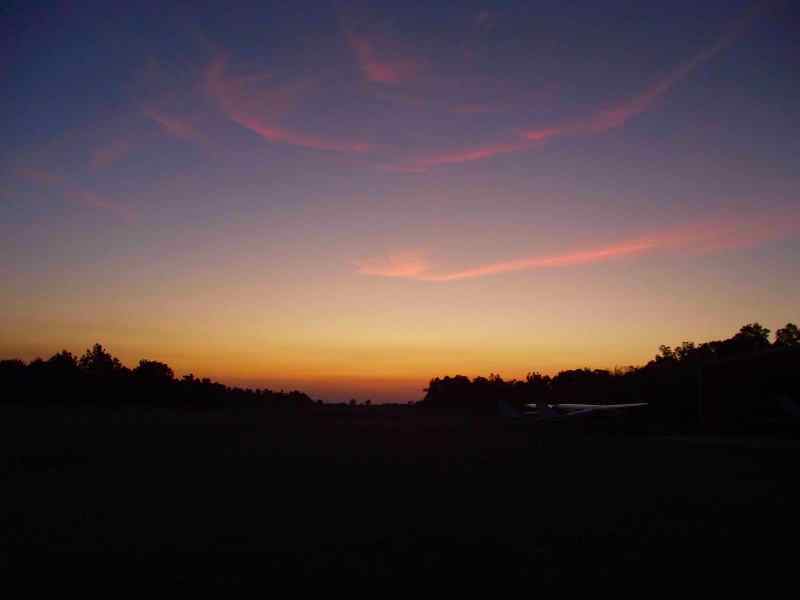 What if you don’t arrive on site till an hour before sundown? Having to wrestle with an octopus-like tent will not make you happy. It’s fairly easy to tell from the packaging how easy a tent will be to pitch, and the clerks at some stores will be knowledgeable enough to help you. If in doubt, consult a fellow club member or other friend with camping experience. I would definitely investigate the new “instant up” tents. Certainly you want a tent that is durable. If you find yourself buying a new one every year or two, that will cut into your money savings. Good news? Most of the tents in the big outdoor stores like Bass Pro are pretty good. My humble Coleman, for example, has held up very well despite being pitched everywhere from Texas to Maine. You can check the Internet for tent reviews, but be aware many of these are posted by enthusiasts. For star partying you do NOT need a tent that will endure the Himalayas or the Amazon. I’m not talking about observing chairs. For those, you go to an astro-merchant. But you’ll want a couple more for lounging on the field in the daytime or, like me, for sitting at the computer. 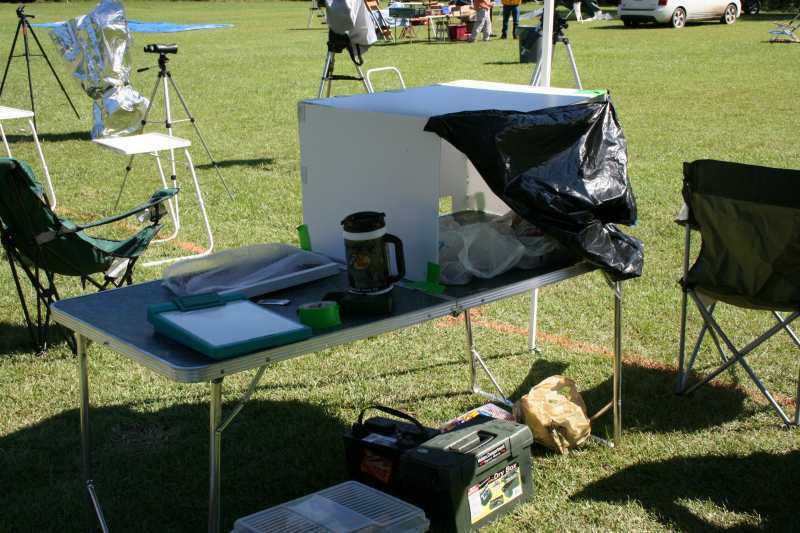 I also find camp chairs useful for keeping things like scope covers off the ground during the observing run. What do you want? That is simple. All you need is a couple of the canvas outdoor chairs that have been the rage for a decade or so. You know: the ones that fold up and go into a tube-like canvas bag. Even the cheapest of the cheap from Wal-Mart work well, and you can get ‘em emblazoned with the logo of your favorite sports team or your university and with cup holders and even foot rests. I take my meals in town or, if I’m at an organized star party, I pay for the meal plan. But what if there ain’t a town nearby? And some star parties don’t have meal plans. Or they may not offer the meals you want. You may like breakfast in the afternoon, or you may be suspicious of star party fare (I’ve rarely had a problem with any star party’s food). Or you may need or want to economize. Some years back, I decided that since I usually went to the Chiefland Star Party alone, there was no sense in sitting by myself in a MacDonald’s. 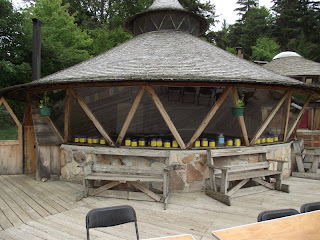 I already had a camp stove, that most popular of camp stoves, a Coleman propane stove, so I ate canned chili and Dinty Moore for lunch and supper at Chiefland that year. I got over this craze for outdoor cooking, but, you know what? It really wasn’t that bad and you may like it and be more creative with what you cook than Unk, who was just one click up from MREs. Which stove do you buy? You buy a Coleman. They have been in this business forever and their products are foolproof and perfected. Do eschew the few white-gas stoves still available. The fuel is dangerous and messy and there is no need for it. Modern stoves are fueled by the little bottles of propane you have no doubt seen. These bottles are very cheap and do a good job. What else? Get an electric start (piezoelectric) stove and get a two burner one. There are some more sophisticated models out there with things like griddle attachments you may want to investigate if you get serious about cooking on the field. Stove accessories? Get a collapsible stand for sure. You will also want Coleman’s Mr. Coffee coffee maker. That is extremely cool; it works like the Mr. Coffee you have in your kitchen, but is heated by the stove instead of by electricity, fitting securely on Coleman’s camp stoves. Oh, one caution: don’t make coffee or cook anything after dark. You will get yelled at. Even turned down low, the burners put out a surprising amount of light. It will be the fall/winter star party season before we know it, and in some areas of the country (not Possum Swamp) it will be getting chilly soon. Another Coleman product I like real well, even though I do not camp anymore, is a Black Cat heater. This is a catalytic heater that runs on the same propane bottles as the stoves. 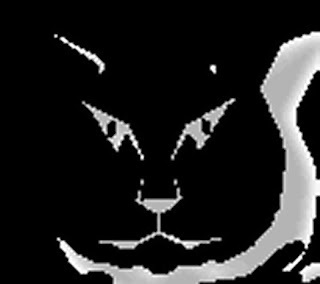 “Catalytic” means the Black Cat does not use an open flame to produce heat, relying instead on a chemical reaction between propane and platinum. The Black Cat works exceptionally well, and with some tarps hung to enclose the sides of my E-Z Up tailgating canopy, it will keep me bearably warm all night. If I am observing visually, I duck in and warm up when I get chilled. If I am doing video, sitting at the computer all the time, I keep wondering why my fellow observers are complaining about the cold. Since catalytic heaters do not use an open flame and thus do not emit carbon monoxide, they can potentially be used in tents. But be very careful and consult with the manufacturer before you do that. They get hot and do consume oxygen. I like the Coleman Black Cat, but if I had it to do over, I’d look for a catalytic heater with electric start. I have to get mine going with a match or lighter. Despite that, you can’t argue with success, and mine has got me through cold nights when I’d have called it quits before midnight. I can make it through a long night on one to one-and-a-half propane bottles—and they are easy to change. “E-Z Up” is a brand name of picnic canopies (now often sold as tailgating canopies), and the company’s products are good, giving plenty of shade during the day and keeping dew off the observing table and accessories at night. 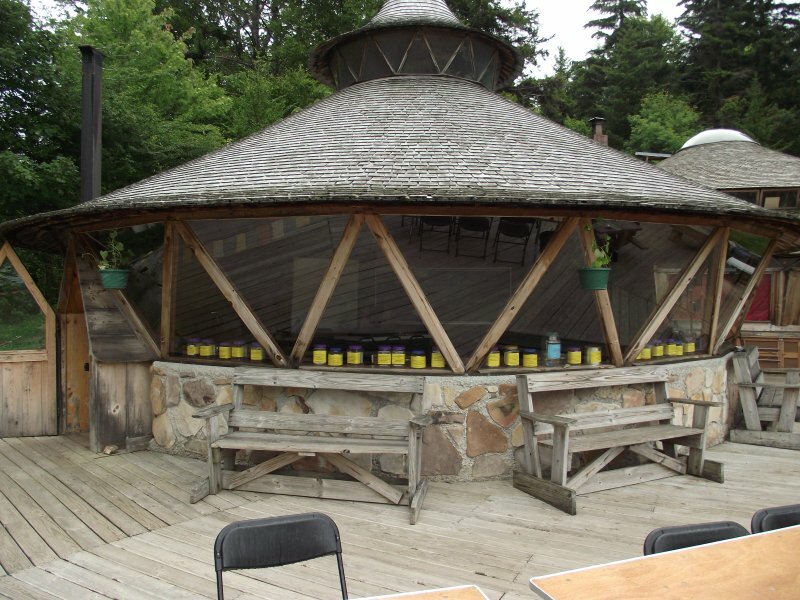 These canopies are “E-Z Ups” because they can be erected without much trouble by one person and without any trouble by two. They are one-piece with no separate poles or anything else, come in zippered and wheeled cases, and fold-out like accordions when you erect ‘em. 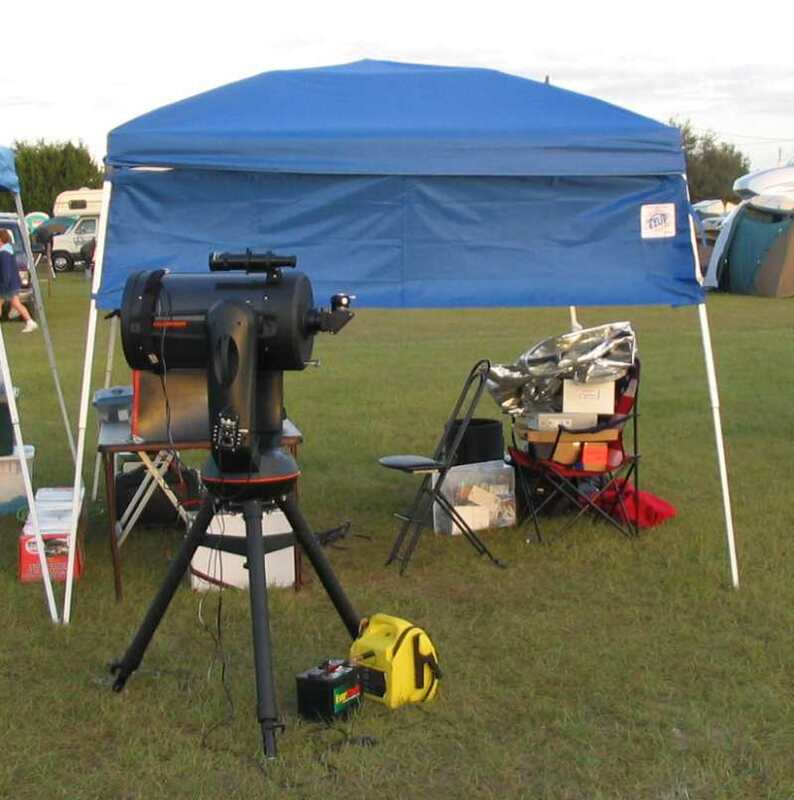 If your star party allows tent canopies to be set up on the field, believe me, YOU WANT ONE. 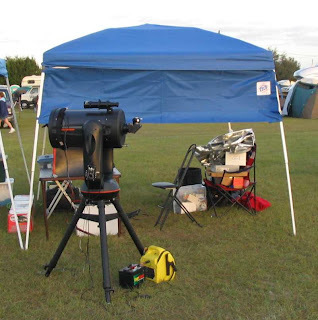 Miss Dorothy and I used an E-Z Up, a genuine E-Z Up, for several seasons and had good luck with it till one fall night at the Deep South Regional Star Gaze when a storm/cold front blew through the star party field and filled the tent roof with about 30 gallons of rainfall. It did not collapse, but a couple of the extruded aluminum supports snapped. We intended to buy another E-Z Up, but when we went looking for a replacement in Bass Pro’s camping section, they did not carry the brand. Instead, we wound up with a tailgating canopy from Coleman. You know what? I like it better. It’s a little more steeply peaked than the genuine article, so it won’t collect rain as easily. It’s also a little larger than the basic E-Z Up model we had. The Coleman is as easy to erect as its inspiration, too. On the downside, it does not seem quite as well-made and durable. Every astronomer needs a red flashlight, a red L.E.D. light, and a Bass Pro or Cabelas or other outdoor retailer is an OK—if not great—place to buy one. Oh, you’ll find one that will work, but it will not be optimum. A good observer’s light will have adjustable brightness. As you know, too much red light will kill your dark adaptation as quickly as white light. It’s easy to find red flashlights in the camping section, but they are almost always too bright and do not have brightness adjustments. Often these can be modified simply, though. A little red paint on an L.E.D. and you are in business. Of particular utility are be the “head lights,” red/white L.E.D lights on elastic bands that fits over your head and provides hands-off light. 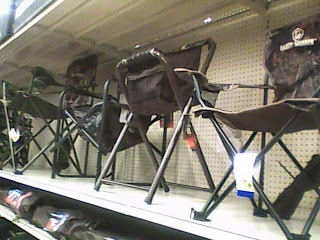 You will find these in the camping and hunting departments, usually. You may also want a source of white light. What I like these days is a “Coleman lantern,” a modern Coleman lantern that uses batteries and super-bright L.E.D.s instead of the nasty old white-gas and radioactive mantles. When the club site observing run is over and everybody is breaking down their gear, one of these lanterns will make life much easier than it would be if you were trying to disassemble a scope with one hand while holding a flashlight in the other. I found the perfect observing table—once. I used a card table for years, since one is fairly easy to pack and provides an at least adequate amount of work area. Alas, as the years rolled on and I accumulated ever more telescope-junk and computers hit even my observing table, a card table wasn’t enough anymore. Imagine my joy, then, when I found the perfect solution while touring the Wally-World sporting goods section. What I found was a camp table the size of two card tables. But it didn’t take up any more space than one. How was that? It folded up in the middle. It was no heavier than a single table, either, since the top was made out of lightweight masonite-like stuff. It was cheap, too, being from Wal-Mart’s bargain brand “Ozark Trail.” I’ve used this table for over ten years now, and it’s held up fairly well till recently. Till recently? Yeah. After a decade, the endless dew baths and occasional rainstorm have taken their toll. Oh, it’s still in one piece, but that masonite surface has warped to the point where it ain’t flat anymore. Not a huge deal, I suppose, but a little annoying, and I sometimes worry about having my disk recorder off level, which I’m not sure is good for it. I have looked and looked for a replacement, but have not been able to find a camp or any other sort of table as good. Oh, there are plenty of camp tables at Wal-Mart, Academy, Cabelas, and Bass Pro, but they all seem to have two things in common: they are heavy, being made of plastic or aluminum, and they are too small. I’ll keep looking, though, and if you run across a good candidate, let me know. You get your telescope power source, jump-start “powertank” batteries, at an automotive discounter (unless you like to pay extra, for a nameplate that says “Orion” or “Celestron”). But that ain’t all you need. If, like Unk and an increasing number of amateurs, you run video, you may need more oomph to power a video recorder and/or a big display. Same goes if you are a big time CCD imager. If you control the scope with a high-power laptop, you may need an external power source for it, too. The boating section of the outdoors store has what you need, what we down here call a “trolling motor battery,” and which you probably call a deep cycle marine battery. “But Uncle Rod, but Uncle Rod, why does it have to be a marine battery? They are heavy and more expensive.” Oh, you can use a car battery, Skeezix, but you will be buying lots of car batteries. It is not unusual to run a battery down purty good on the observing field. Marine batteries have thick lead plates (which is why they are so heavy) that will stand deep discharge over and over. Do that to a car battery often and it will die on you. What do you look for? Mostly, plenty of current capacity. 75 – 100 amp hours at least. Don’t imagine you’ll be able to run a 1 amp draw device for 75 – 100 hours with a battery of that capacity, though. Due to the physics of the situation, expect to get about half that at best. So, over-budget your current needs. How much moola are we talking? 100 – 150 dollars, though you might be able to undercut that a bit if you buy from Wal-Mart instead of a sporting goods or boating store. The above just scratches the surface of the wealth of useful things you will find in your local “astronomy store.” Some of the other good stuff I’ve run across? Compasses: If you run an equatorial mount, you’ll find a compass helpful for getting a rough alignment before sunset. Any outdoor store will have a selection of ‘em. I found a nice lighted job at Academy. Hand warmers. What’s the first thing to get really cold? Your hands. While observing you will be manipulating small doohickeys like focusers, hand paddle buttons, etc., and you will probably need to do that with your gloves off. Chemical hand warmers can help get your paws warm again. Open one, shake up the little packet, and it will give off plenty of heat for hours. 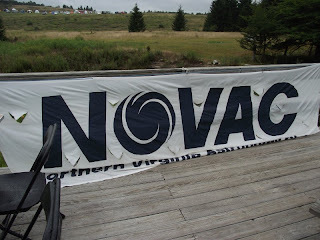 Buy as many as you need for the observing season and get more next year. In my experience, the shelf life of these things is limited. Luckily, they are very inexpensive. First-aid kits: Even if your site is only ten or twenty miles from home, you need a basic first-aid kit. You will probably never need it, but if you or one of your bubbas ever does, you will be happy to have it. Most outdoor stores have a good assortment, and you should be able to find a fairly complete one that does not take up much room. Various and sundry: Duct tape, tarps, tent stakes, bungie cords, it’s all there for you. So, there you have it; the place to get a large portion of what you need for remote observing ain’t a big astronomy merchant ten states away. It’s right down the street. I’d appreciate hearing about your finds down to the Bass Pro or Cabela’s, since this list is far from inclusive. Next Time: Unk hopes to get out on the observing field with his DSLR this Saturday evening, but the fracking weather gods ain't so sure. We'll see. It ain’t easy for a novice to decide. In addition to our time honored variants, the SCT, the MCT, and the MNT, the SNT has made a comeback, and some more exotic variants, KCTs and similar, are available, too. What in Sam Hill do all these letters mean? Stay tuned and all shall be revealed, muchachos. Below are my thoughts on the different CATs, which I hope will make choosing one easier, assuming any catadioptric telescope is a good choice for your viewing habits and purse. The ACF was something of a breakthrough. The design wasn’t new and didn’t originate with Meade, but the ACFs improved on the SCT they had been selling for nearly 30 years. These f/10 telescopes do that with a differently figured secondary. While Meade says it is a hyperbola, the optics gurus I’ve talked to say it is a parabola. Whatever it is, the effect is to reduce one of the two ills Schmidt Cassegrains are heir to. The stars at the edge of an SCT’s field are not perfect. They are not quite round and are a little bloated. In part, this is due to field curvature, but it is also because of coma, the same edge-of-field blurring effect that plagues Newtonians. The ACF still suffers from field curvature, but its optical design cleans up the coma and makes field edge stars look much better. Celestron didn’t respond to Meade’s challenge immediately, but when they did, their new f/10 SCT, the Edge HD, kicked it up a notch. Not only does Celestron’s design, which differs from their other scopes in the presence a two-element corrector in the telescope’s baffle tube, reduce coma, it also flattens the field. I spend most of my time looking at the field center, not the edge, but I gotta admit the stars in an HD look real sweet all across the field. “So which one, Unk? ACF or HD?” For many of us, I must conclude the best choice is “none of the above.” The problem is that neither company has introduced a focal reducer designed for the optical prescriptions of these new telescopes. A standard SCT equipped with one of Celestron’s f/6.3 reducer - correctors can produce images with stars nearly as good at the edge of the field as these new telescopes. Yeah, you can take fine pictures with an HD or ACF at f/10, but who wants to shoot at f/10? Optec has introduced focal reducers (the Lepus series) for the new CATs, but I have not yet been able to determine how efficacious they are. OK, a standard SCT, then? My comments about Meade’s problems apply here, too. For example, one of the BEST SCTs I have ever used, the Meade LX90, whose production went years without problems, developed declination motor faults after Meade moved their opeeration to Mexico. It is perfectly possible you will get a problem free Meade, but not quite as possible as with Celestron. Not that Celestron has been perfect, either. They have had more problems with the CGEM German equatorial mount (a design based on the venerable EQ-6) than they should have. Far more. If I wanted a fork mount SCT? I’d choose the Celestron CPC. An inexpensive GEM SCT? The Celestron Advanced Series CAT which is equipped with the time-tested CG5 mount. Still, I must admit a buddy’s new 10-inch LX200 ACF was one of the finest fork mount telescopes I’ve ever used—till its electronics quit working. I get asked how Meade’s move of production Mexico and Celestron’s move to China have affected optical quality. The answer is, if anything, it has improved it. 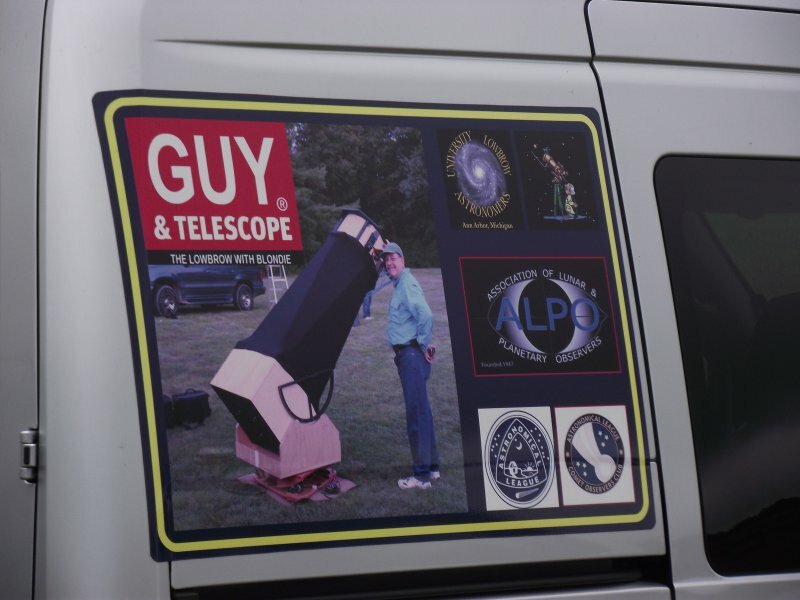 Frankly, I believe the telescopes are at least a little better optically on average than they have ever been. Electronically/mechanically? Yes, Meade’s problems seem somewhat worse than they were before, but there has always been the chance of getting a problem scope when you are talking a complex computerized rig at the price territory Meade inhabits. The same goes for Celestron. How big an SCT should you contemplate? That is a sticky subject, but your Old Uncle Rod has you covered. Have a look rat cheer. Quite a few newbies and not so newbies who have decided they want a CAT also decide they want More Better Gooder than a mass-production SCT. The first place they usually turn to for that is the Maksutov Cassegrain. Why is the MCT better? Without sounding like a dadgum optical textbook (which Unk couldn’t, anyway), the combination of an easier to make corrector plate and a slightly higher native focal ratio primary (as in the SCT, in the MCT a low focal ratio primary is “magnified” into a higher focal ratio by the secondary) combine to offer what some, including yours truly, believe to be somewhat better images. I know my Mak, Charity Hope Valentine, an ETX-125, offers images that are very sharp and contrasty and visibly superior to those of a Celestron C5 SCT despite Charity’s somewhat large central obstruction (do not tell her I mentioned that). “OK, what’s the catch, Unk?” You are right: TANSTAAFL, “There ain’t no such thing as a free lunch.” Firstly, the MCT is usually a higher focal ratio instrument. While we’ve seen some faster ones over the last decade, the de rigueur focal ratio is usually around f/15. Is that bad? It’s bad if you fancy getting the entire Pleiades or some other big object corralled in the field. Truthfully, though, most of the deep sky objects we look at are not large, and, because of its superior contrast, an MCT can be a superb deep sky scope. When somebody says MCTs are only good for the planets, look ‘em straight in the eye and intone, “NO SIR, BUDDY!” Just don’t go looking for the Cat’s Paw Nebula with one. Then there is the aperture problem, which is more serious. Oh, you can buy MCTs in large apertures, as big as 16-inches or even larger. But you would probably not be able to afford one. When you pass 6 – 7-inches, the price of an MCT takes off like a skyrocket. Why? Part of it is the deep dish corrector. Finding a good, big blank in the thickness required is an expensive proposition. 7-inches is the limit for most of us. Which can be just fine. Depends on you. Finally, MCTs are notorious for long cool down times. I used to think that was due to their thick corrector plates, but that optical guru of gurus, Uncle Roland Christen, schooled me on that. According to him, and he if anybody should know, having made superb MCTs himself, it is not the corrector, but the closed tube of the scope and the heat absorbing materials within. In truth, the cool down characteristics of an MCT, how long it take before it adjusts to outside temperature and begins offering the best images it can, are the same as those of an SCT. The difference is that the MCT with its higher focal ratio delivers higher magnifications eyepiece for eyepiece, which tends to exaggerate cool down effects. You want one? Where do you get one? If you are cheap like me, you look to Synta. Their MCTs, including a sweetly priced 7-inch, perform very well indeed and most assuredly will not break the bank. If I were doing more visual observing I’d have the Orion/Synta 180. Why “visual”? Can’t an MCT take good pictures? Sure one can, of the planets certainly. Deep sky? One could, but who wants to take pictures at the focal ratio of f/15? Even with today’s sensitive cameras, exposures become disgusting long at that slow speed. Focal reducers can work, but I’d have a problem getting down to the f/3 – 4 I need for deep sky video. Want something a little fancier? Alas, renowned Russian MCT maker Intes has left the business. 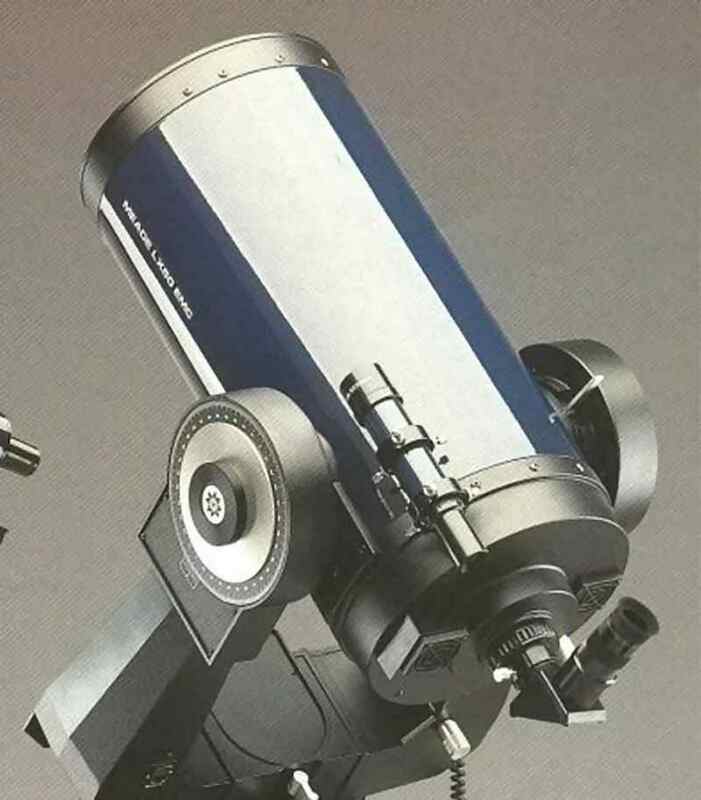 So has Lomo, who made some fine scopes, including an MCT with a fork and drive base that was almost as friendly for noobs and casual observers as a fork mount SCT. There is one Russian company left in the Mak game, Intes Micro, whose Alter M703 and Alter M615 certainly deserve a look. Mo’ money? There is Questar. I’ve always questioned the wisdom of forking out the bucks Questar asks for a telescope whose design is stuck in the 50s, but I don’t own a Rolex watch, either, and obviously just don’t get it. The basic scope still comes with an AC synchro drive. The drive base limits what you can view in the south. Forget about go-to, though you can fit digital setting circles from JMI. On the plus side? Beautiful glass from Cumberland Optics and a build quality that ensures the scope will last a lifetime—if not several lifetimes. It all comes down to $$$, though. A Questar 3.5 simply won’t show a whole lot of the deep sky. In fact, a 3.5, no matter how fine, won’t show much of the shallow sky, the Solar System. One is fine for casual grab ‘n go observing, but who wants to pay 4K for a grab ‘n go? Not moi, that’s fer dang sure. No, for serious work you want the Questar 7. B-U-T. There is a reason this used to be called “the doctor’s scope,” and it’s not just that it looks like a shiny piece of operating theatre kit. The Questar 7 was so expensive back in the day that folks joked that you had to be a wealthy physician to own one. Today, the Q7’s price doesn’t seem quite that daunting, but it’s still way high for a 7-inch. The out? You don’t have to buy the fork mount version, which isn’t always available anyway. The OTA-only ain’t exactly cheap at about 7500 buckeroos, but it is at least a much more modern proposition, with a “normal” finder and star diagonal. Yeah, some folks love the 3.5 and 7-inch forks’ built in finder/diagonal/control box. Me? I have never cared pea-turkey for that stuff. 'Course there is that elephant-in-the-living room MCT, the consideration of which involves going from the sublime to the ridiculous. Or maybe not so ridiculous. 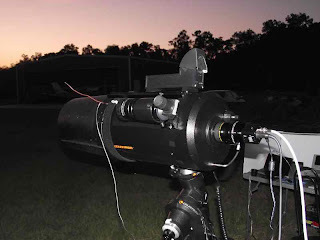 I am talking about Meade’s ubiquitous Questar clone, the ETX. Yes, it has plenty of plastic. No, it will not last several lifetimes or probably even one, but the little scopes do have their charms. The biggest of which is their optics. Questar owners don’t like to hear it, but the optics in the ETX-90 are almost indistinguishable from those in the Questar 3.5. On some occasions when I’ve run an ETX against a Q, I’ve been able to tell the Questar was slightly better, but only slightly and only sometimes. Meade’s little scope actually has some advantages over its inspiration. Yes, the ETX go-to system can be finicky, as you know if you’ve read my adventures with Charity Hope Valentine, but it almost always works, and I suppose I usually see way more with my ETX over the course of an evening than the average Questar owner sees by star hopping with that weird dadgum finder. It’s not just go-to where Meade pulls ahead. They offer a 5-inch MCT, the ETX-125. Yeah, I wish Meade still sold their 7-inch, but 5-inches is enough to allow me to see almost as much of the deep sky as I’d see with a C8 on the sorts of nights when I drag out Charity, and a lot more than what I’d see with 3.5-inches. On the planets? Miss C is exquisite. And guess what? You can buy 4 – 5 ETX-125s for the price of one Questar 3.5. 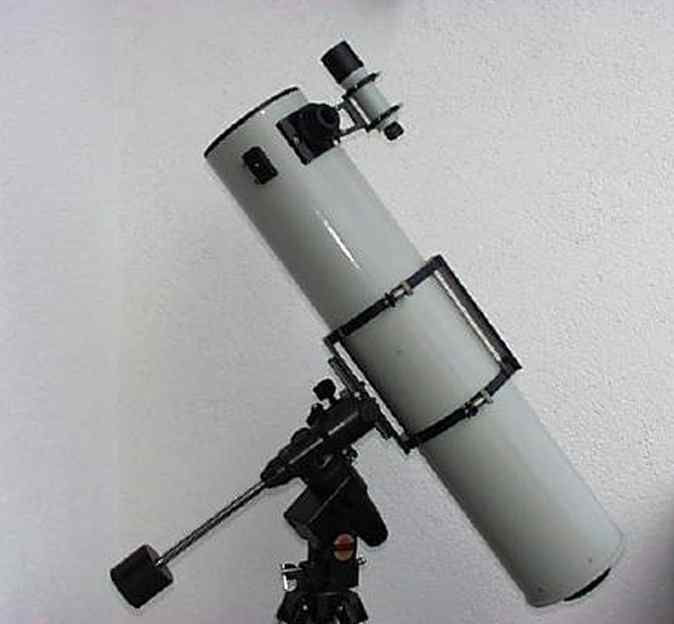 No the ETX is not as finely made as a Questar, not even close, but in my opinion it is a much more practical telescope. There are other good MCTs out there as well, especially smaller scopes. The word on the street, for example, is that Celestron’s new C90 is amazing for the price. Unless you are just after grab ‘n go, however, I advise strongly against a smaller than 4 – 5-inch MCT. To really take advantage of this kitty’s strengths, fine views of the planets and small – medium deep sky objects, you need more light than a 90 can give you. What’s an MNT? It’s the marriage of an SCT and a Newtonian, which, its fans will tell you, is one made in heaven. Unlike SCTs and MCTs, the design does not incorporate a magnifying secondary. Instead, a medium focal ratio primary mirror, maybe about f/6, a mirror with a spherical figure just like those of the other CATs, is paired with a Maksutov corrector plate at the end of the tube and a Newtonian style diagonal flat. The secondary’s housing is mounted on the corrector and the mirror sends images out a hole in the side of the tube, just like a Newtonian. What are the advantages of this design? The high native focal ratio mirror and the flat secondary, mean it is potentially capable of delivering images superior to those of an MCT. As compared to a similar focal ratio Newtonian, the field edge is better. One advantage for visual observers with some MNTs is that the secondary obstruction, the size of the secondary mirror, is very small, maybe improving planetary performance a bit. Alas, small secondaries make the scopes impractical for photography. The human eye doesn’t notice the small secondary does not fully illuminate the field, but a camera with any but the smallest sensor does. There is no reason MNTs have to be made with tiny secondaries, though, and some are not. Should you want one? Maybe. 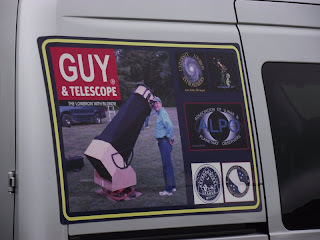 These are good telescopes, but they do have a strike or two against them. Primarily, that they tend to be heavy and are necessarily equipped with long tubes, since there is no optical folding and secondary amplifying as there is with an MCT or SCT. That means you are going to need a substantial mounting for a seven or eight inch MNT. If you want a Mak-Newt, where do you get one? The usual source in recent years has been Intes Micro, whose Alter MH 76 is a good bet. This is an 8-inch f/6 with a 20% central obstruction optimized for visual performance. After suffering a decline in popularity at the end of the 90s, the MNT design is getting hot again, and there are some new ones appearing, including the 6-inch f/4.8 David H. Levy Comet Hunter sold by Explore Scientific. The David Levy has secondary mirror which presents a 32% central obstruction, making this MNT a good choice for imaging--if maybe not as great for planetary work as those MNTs with smaller diameter secondaries. 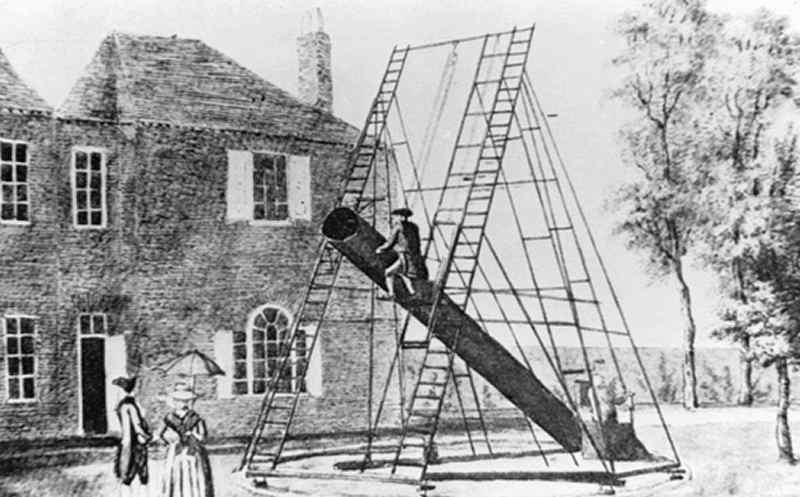 If you can marry a Newtonian and an MCT, why can’t you do the same with an SCT? You can. Meade and Celestron have done it a number of times over the years. All you do is replace the MNT’s corrector with a Schmidt corrector, and you are done. Advantages? An SNT delivers considerably less coma than a Newtonian without the need for corrective optics. Given their fast primaries, which range from f/4 to f/5 (in the Meade scopes) they deliver nice wide fields, too. Optical quality is good enough for wide field imaging and visual observation at relatively modest magnifications. Is that it? Yeah, purty much. But that is not really the fault of the design. It is more the fault of the fact that nobody does a real top of the line SNT. The major purveyors have been mass-producers Meade and Celestron, and they have always relegated the SNT to their low - mid level product lines. Today, as a matter of fact, only Meade is producing amateur grade SNTs. How are Meade’s Schmidt Newtonians? These scopes, part of the LXD-75 line, are OK. The optics are, in fact, pretty darned good. It’s the mechanics where they fall short. 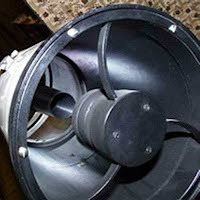 The problems include a minimalist mirror cell and poor focuser (which can be fairly easily replaced). Their major fault, though, is the mount they are shipped with, the LXD-75 GEM. This EQ-4/CG5 class go-to rig is barely adequate for Meade’s 6-inch SNT and a joke for the 10. Or was. I’ve heard the LXD-75 line is being discontinued and have no idea what that will mean for the SNTs. Will they be moved to another, better mount? Discontinued as the 1980s Meade SNTs were discontinued (for over a decade)? We shall see. I’d hate to see them go because (optically) I find these telescopes fairly impressive when properly mounted and a good bargain. I’ll lump all similar scopes into this category, though not all of them are technically of the Klevtsov design. What they have in common is that they are Schmidt/Maksutov Cassegrain-like telescopes that replace their full aperture corrector plates with sub-aperture ones. 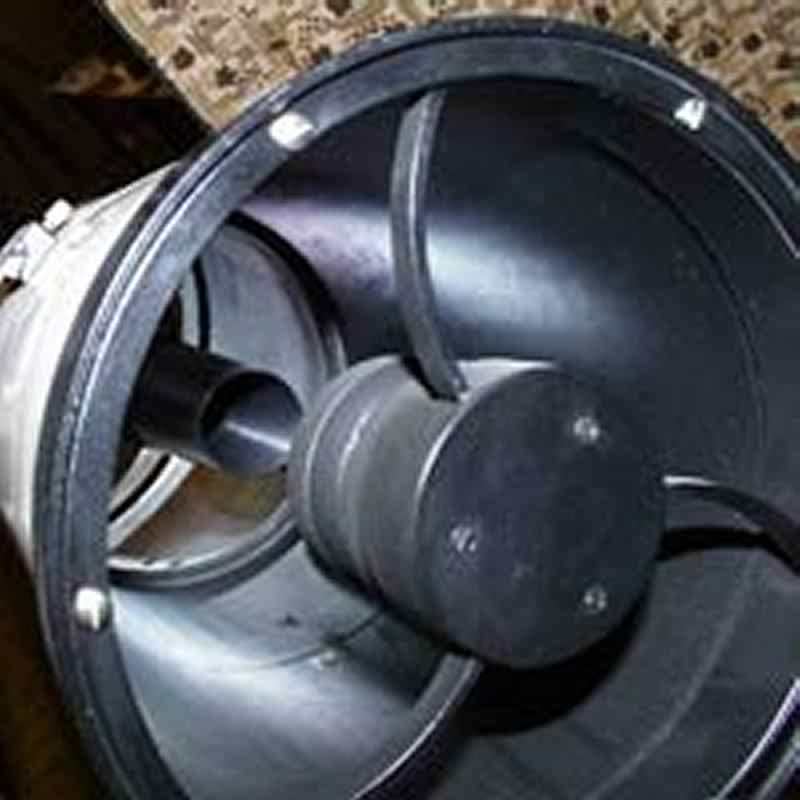 There are several places the correctors can go, including in the baffle tube, but the usual spot is behind the secondary mirror (closer to the primary), and usually in contact with it. The genuine KCT uses a Maksutov like meniscus lens and a mirror/lens combination, a “Mangin” corrector, but other designs are possible and in use. Drawbacks? Several. First, since the big corrector on the front of the tube is gone, a spider must be used to support the secondary mirror, just as in a Newtonian. That yields diffraction spikes around bright stars, which you either love or hate. Also, the corrective optics are substantially more difficult to make properly than the mass produced corrector plate of other CATs. Since light passes through the KCT’s lenses twice instead of once as in “normal” designs, they have got to be good. Advantages? Well…hmmm… One is that you do not have the big corrector to gather dew. The other is that theoretically subaperture corrector lenses, while difficult to get right, can be better than an SCT’s corrector, with the system suffering less from field curvature. Trouble is, nobody is making a KCT that lives up to that potential in my opinion. Those I’ve tried, including the Russian TAL KCTs and similar designs from Vixen, have one thing in common: they are not noticeably better than an off the shelf Meade or Celestron Schmidt Cassegrain. Add to that the fact that the Vixens are more expensive than Meade and Celestron SCTs, and that the TALs are not cheap either and are not easily available in the U.S. at the moment. The TALs also tend to hearken back to the Russian scopes of the early 1990s; they are built like T-72 tanks with both the good and the bad inherent in that. So there you have it, a rundown on the best of the breed for the CAT fancier. Which do you choose? That’s up to you. What I find works for me is a standard SCT equipped with a Celestron reducer/corrector. I supplement that with the 5-inch Meade MCT for grab-n-go use. But your choice is your choice, and I will admit that at times and for some unknown reason I still lust after a Tal Klevtsov. Why? The appeal of the exotic for a distinctly non-exotic old hillbilly, I reckon, muchachos. The Meade and Celestron "enhanced" SCTs have become staples of amateur astronomy. The original design f/10 scopes hang on, but I would guess the Edge/ACF market share is growing. Celestron now makes focal reducers for all their Edge OTAs. Even the 9.25. Both companies have improved mechanically/electronically since the days of the LX80 and the early CGEMs. They are still hardly perfect in this regard, but better. The good old LX90, thankfully, seems to be good again. I still believe a standard f/10 SCT and an f/6.3 focal reducer makes a lot of sense for a lot of people, and not just the cash-strapped. The MCT situation remains pretty much where it was seven years ago: Synta and one or two other Chinese companies (Meade now being one of those other Chinese companies, natch) dominate in the low-mid price range, and custom-semi custom outfits like Questar take the top tier. The Russians are still gone from the arena. MNTs seemed to be making a slight comeback when I wrote this, but that went bust. There's still the Explore Scientific scope, but I believe that is about it. Things are even worse for SNT fans. Meade is reviving its LXD series with the LXD 85, but apparently the SNT is not part of the deal. The Newtonians offered are standard Newtonians. And there you have it. Now, excuse me while I go grab my APO refractor. Just joshing. While I do use refractors for many things these days, when I have to get the shot or the visual observation, which scope do I still turn to? The good old C8 in the form of my Edge 800. Some things don't change. Sometimes I wimp-out, muchachos. Especially in the summertime after a long, hot day segues into late afternoon thunderstorms. 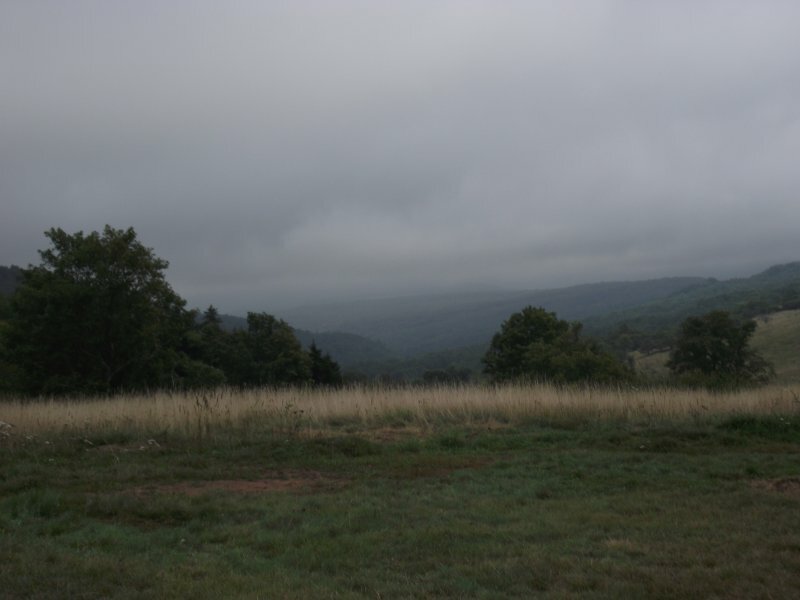 Even if it doesn’t rain at the dark site, you can bet the humidity will spike up to the intolerable level. And don’t forget the bugs, oh no. After a good rainy stretch like we’ve been having down in the swamp, you might as well hang a sign around your neck, “Soup’s on!” for the hordes of mosquitoes. Yeah, I know, my rule is supposed to be “head for the dark site if’n it ain’t raining,” but it’s not always easy to convince myself to stick to that at the height of a Possum Swamp summer. There was one large incentive for me to give it a try this past Saturday night, though: I lied to y’all. Not on purpose; I just got confused. Nevertheless, I was wrong when I said I had finished both the Herschel I (400) and Herschel II. The II, yes, the 400, no. Imagine my embarrassment when I took a look at the list for the first time since me and Miss D. returned from our latest Chiefland expedition and discovered I still had four Herschel 400 objects to go. Two of these were in Lynx and would be dicey to the point of impossibility, setting well before it was good and dark. The other two, one in eastern Hydra and one in Libra, could be easily picked off. Naturally I also wanted to continue the Big Enchilada part of the Herschel Project, a.k.a. “The Whole Big Thing.” That is my quest to observe all the (nearly) 2500 objects discovered by my heroes, Will and Lina Herschel, in the 18th century. Where do I stand with that? Coma Berenices, that huge forest of galaxies, is still not finished, but it would be too low and in the horizon mess by dark. Which made my prime target galaxy-laden Boötes. Even at the tail end of July, the Herdsman is still well-placed for observation. If I closed out Boötes? Our friendly summer snake, Serpens, would be on his way down and there were galaxies I needed in his “Caput” half. Like they say on the pea-picking WTBS late at night, BUT THAT’S NOT ALL! 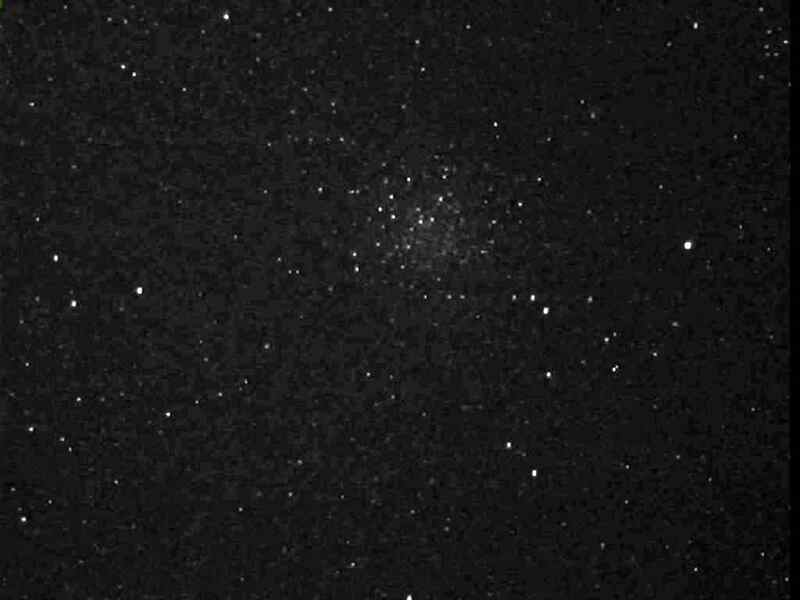 I also wanted to have a look at a peculiar little comet, C/2009 P1, Garradd. What makes this little visitor, discovered by Australian Gordon Garradd a couple of years ago, unusual? It would be pretty bright, around magnitude 9, the estimates I read said, and will continue to brighten steadily till it peaks late this winter. It probably won’t be better than mag 6 at its height, but it will remain easily visible in small telescopes for months and months, which is the unusual part. How would I do all these things? I expected haze, heavy haze, and maybe intermittent clouds. As I discovered on nights 23 and 24 down Chiefland way, you see faint fuzzies under those conditions with a deep sky video camera. I wasn’t about to lug out my NexStar 11, Big Bertha, on a night such as this, however. It would be an evening for my trusty 1995 C8 OTA, Celeste. Which mount? I was tempted to load up the Atlas, but the thought of all the sweat that 60+ pound GEM would cause meant it was no more attractive a proposition than huffing and puffing with Bertha. Which left my Celestron CG5 German equatorial mount. Some folks sneer at this plebian Chinese-made GEM, but I love mine. It has literally never missed a beat in the almost seven years I have owned it. Tracking is easily good enough for the 10-second exposures of my Stellacam II, and with the f/10 OTA focal-reduced to about f/4, it is trivial for the mount’s computer to put anything I ask for on the tiny Stellacam chip. Course, if you are a-gonna do video, you gotta drag out all the support gear: DVD recorder, video display, inverter (for AC for the recorder), and a big trolling motor battery. I’d also need my netbook for SkyTools 3 and NexRemote. Lotsa cables to hook everything up. 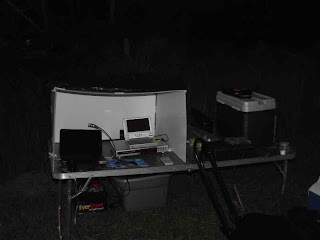 The observing table to put all the astro-junk on. Couple of jump-start batteries: one for the CG5, and one for the Stellacam II and the DewBuster (I predicted it would be an uber damp night). Yeah, it would be a hot time in the old town tonight. I just hoped I’d be rewarded with some hot observing. After an uneventful drive to the west of our little burg, I arrived at the Possum Swamp Astronomical Society’s dark site, and was pleased to see a goodly number of hard-core observers had turned-out despite the distinctly uncomfortable conditions. In addition to yours truly, six other folks were in the process of setting up various and sundry telescopes. The weather? Instead of beginning to look worse as it often does as sunset approaches on summer eves, it was actually commencing to look better. A couple of thin patches of clouds, but they seemed to be departing, taking much of the haze with ‘em. It was hot enough, sure, still near 90 as the day ended, but it did not feel as bad as I’d feared. If there had been a breath of breeze it would almost have been comfortable. If not for the skeeters. I wasn’t greeted by clouds of ‘em, but a couple dive-bombed me the minute I got out of Miss Dorothy’s Scion Xb (the old reliable Camry decided not to be so reliable and was in the shop). I was prepared. First thing I did was load a pad and a butane cartridge into my Thermacell bug-ejector. After it had run for about 10-minutes, every biter within five meters headed for the hills. With the sun sinking, I needed to get on the stick. I didn’t rush in the heat, but I didn’t waste time setting up the CG5, getting Celeste on it, mounting the Stellacam II, and cabling it all to the DVD recorder and netbook. Retrieved my Wireless Wingman gamepad I use as my “HC” with NexRemote, and I was ready to go. While waiting for alignment stars to show themselves, I strolled down the field to the setup of good buddy Kent, who had brought out a brand-new rig, an Explore Scientific 80mm APO and an Orion (Synta) Sirius (HEQ-5) mount. Ain’t nothing sweeter than a new scope, and I was pleased to find two on the field this evening. 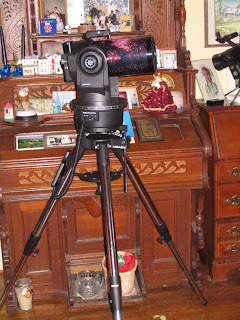 New club members Tommy and Robin had brought out their first serious scope, a Celestron NexStar 8se. What did I think of the new gear? It looked GOOD. The APO, in particular, with its pretty white tube, big 50mm finder, and cool two-speed focuser set my mouth to watering. The NexStar warn’t no slouch, either, sporting a retro-orange tube and clean lines. I was looking forward to seeing how well the new telescopes worked, but, if looks were any gauge, I thought they would both be winners. 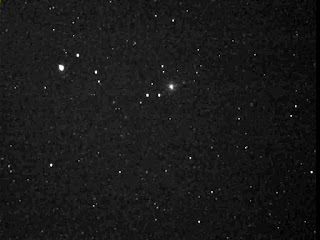 With Polaris now visible, I headed back to my rig, centered the North Star in the hollow polar bore of the mount as a rough alignment, fired up the computer, started NexRemote, brought up the Stellacam II, and switched on the vid-monitor. Go-to alignment takes a little while with the CG5, since I not only do the two alignment stars required, but add four calibration stars to ensure the mount is accurate all across the sky. That done, I run the polar alignment routine in the HC to keep star-trailing non-existent in 10-second exposures. I use the old v1.12 CG5 firmware (selectable in NexRemote) most of the time, so polar alignment is very simple. The scope points to where it thinks Polaris should be; you use the mount altitude and azimuth adjusters to center the North Star in the finder and in the eyepiece (in my case, on the video display) and you are done. Well, almost. Since I moved the mount’s head a fair distance to polar align, I’d need to redo the go-to alignment, doing the same 2+4 stars over again. Technically, you probably don’t need to redo all the calibration stars, but centering ‘em up with the wireless joystick is so golderned easy I usually do all four, anyhow. A dozen stars plus Polaris centered, Celeste, in her Microsoft Mary voice (thanks to NexRemote), intoned “Alignment Success.” Y’all know me, though: I don’t care if it’s Charity Hope Valentine, Big Bertha, or Celeste, it is always the Reaganesque “trust but verify.” I punched “M 003” into the virtual HC on the netbook screen, the CG5 made its usual weasels-with-tuberculosis sounds, Celeste said, “Target acquired!” and what I saw on my screen was…NOTHING. Then one of my few remaining non-Rebel Yell soaked braincells sputtered: “Rod, you dummy, the camera is still set to 1/30th-second exposures.” I walked over to the mount, snatched up the Stellacam II (wired) hand control I affix to a tripod leg with Velcro, and cranked it up to five seconds. Turned back to the monitor, and M3 was a great big ball of beautifully resolved stars sittin’ pretty in the center of my field. As I said the other week, I am continually gobsmacked more folks don’t rave about this spring wonder. Anyhoo, dialed the camera exposure up to the next and last setting, which yields 10-seconds, and prepared to go after the first H-400 sprite. Before I did that, though, I turned a critical eye on the sky, which was now on its way to “good and dark.” Not only had scads of stars turned on, the cotton-picking Milky Way had begun to glow. It is not unusual to see it from our dark site, but it is usually more subdued than it was on this unexpectedly beautiful night. Before I called it quits, plenty of detail was visible in it, including the Great Rift. Just goes to show you never can tell. Dang good thing I didn’t decide to stay home watching Man versus Food. While the sky was now good and clear, it felt damper than ever. The Telrad fogged up before I could finish the mount’s alignment, so I cranked the DewBuster to its 10-degree setting and hoped. Seeing? Not great, but not bad, either. I squinted at SkyTools, and noted the two Lynx objects I needed were still visible. Hot dog! I sent Celeste that-a-way. She slewed and she slewed, with the tube winding up pointing west and just a little higher than flat-out horizontal. No way. I put on my glasses and had a second look at the program. I had forgotten to punch up the RealTime tab, which will show only the objects in the list that are currently observable. Shucks. Both Lynx galaxies were for all practical purposes gone. The Hydra and Libra fuzzies were still available, though. As always, the matter below in italics is transcribed more-or-less exactly from my (audio) observing log, galaxy types are given according to the de Vaucouleurs system when possible, and I used N.E.D, the NASA extragalactic database, as my prime reference. Also as before, the images are simple alt-print screen grabs of single video frames. NGC 5694 (H.II.196) is a tiny globular in Hydra. Magnitude 10.1 and 4.3’ in diameter. This is one of the more distant globular clusters, and Sir William and Lina were unable to resolve it. Its Shapley – Sawyer Class was once considered to be “I,” the most concentrated, but is now thought to be a VI, which is still tight for resolving stars at its considerable distance. Unlike Sir William, I can make out a few stars and what looks to be a couple of chains of barely resolved stars off to the northeast. But, man, is this glob small. NGC 5897 (H.VI.8) in Libra is a much more accessible globular—it’s well resolved, anyway. This is a Shapley – Sawyer Class XI, meaning it is incredibly loose on the 1 – 12 scale, making it almost the opposite number of NGC 5694. Magnitude 8.4 and 11’ in size. 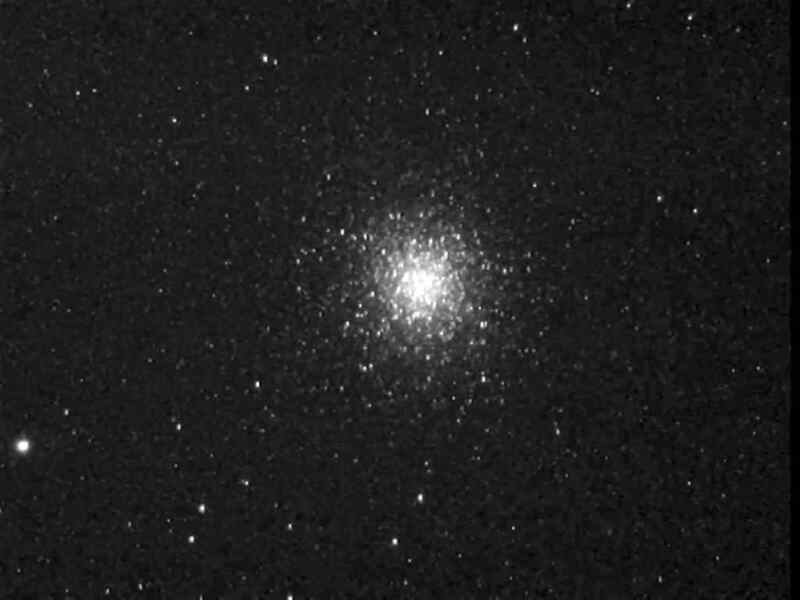 Nice, large globular cluster in Libra. Looks very much like a rich galactic cluster. It shows very good resolution across what there is of its core. Two down, then. I’ll get that Kitty’s two hangers-out this winter, I reckon. H400 work done, I took a short break. After all the rushing around to get the setup finished by nightfall, I was slightly overheated and weary. First order of bidness was guzzling the Monster Energy Drink I brought along in my little cooler. It was wet, it was tasty, and it immediately perked me up. Wasn’t quite ready to start the Big Enchilada, though, so I hoofed it over to Kent’s set up to see how the ES refractor was doing. I knew the little scope’s owner intended to do some imaging, but I hoped I could cadge a look first. I was in luck; Kent was using the SynScan’s Tour mode to look at eye-candy. Peeper to eyepiece and what should I spy but the good old Dumbbell Nebula, looking great. Sharply defined and brighter than I thought it had a right to be in an 80mm. I pronounced the rig a winner and headed back to my end of the field. Set up next to me, Tommy and Robin sounded as if they were not getting far with their new C8. I had advised them to try SkyAlign, which allows the scope to be aligned on any three bright objects. You don’t even need to know their names. Unfortunately, the NexStar HC kept saying “alignment failure.” While I wanted them to get comfortable with their new SCT, I also wanted to make sure it was working right and make sure they got to see some cool stuff, so I took the controls. I took a look and there was globular M3 looking sweet. The optics on the scope were nice, I thought, real nice. I showed Tommy and Robin a couple more pretties, demonstrated how to go to some on their own, and advised the couple to do a little studying of a star chart so they can use Auto Two-Star, too. Onward to the Big E., then. I started out in Boötes, got in the groove and was soon knocking them out one after another. I’d peer at the Herschel Project list on SkyTools RealTime to see what was “next” and punch it into the virtual HC. 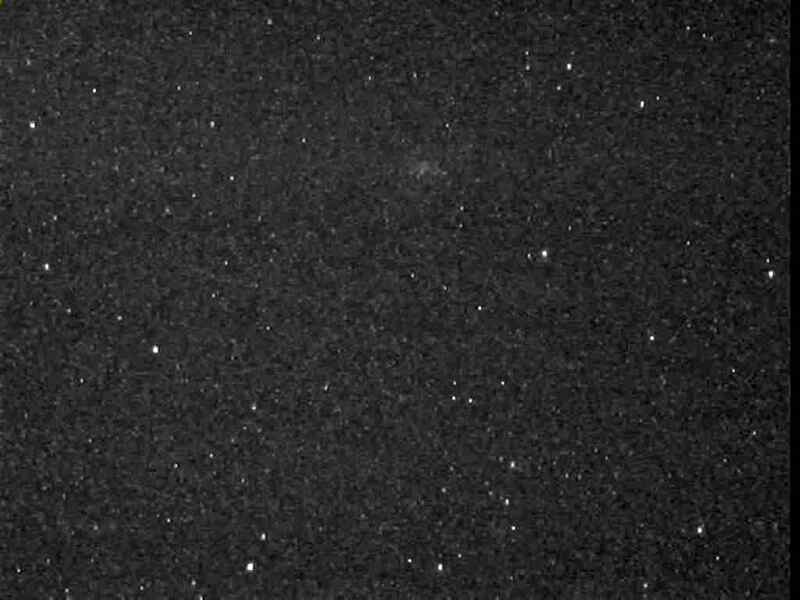 When the slew stopped, I’d center the object (mostly wee galaxies on this eve) on the monitor with the gamepad if necessary, hit record on the DVD to grab 30 seconds of video, write the ID number in my observing notebook, record my impressions on my MP3 recorder, and repeat as needed. What stands out amongst the night’s haul? Boötes is not a place for spectacle. It has plenty of DSOs, but they are mostly small rather bland galaxies. 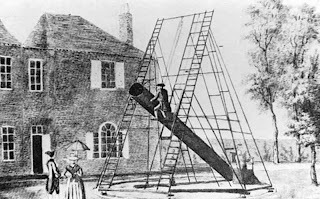 Nevertheless, there are a few you might want to visit, even if you are not a Herschel fanatic. NGC 5851 and 5852 (H.III.886 and H.III.887). There are three prominent galaxies here, the two NGCs and MCG 2-38-43. NGC 5851 is a magnitude 14.04 S type lenticular that is 1’x.3’ in size and intermediate in inclination. NGC 5852, also an S type, is a little dimmer at mag 14.53 and about the same size, 1.1’x.6’. 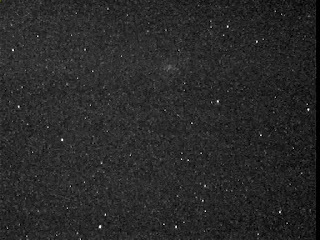 MCG 2-38-43 shows up very well since, while it is at magnitude 15.3, this little Sc extends a mere .6’x.2’. This group is a real treat. Three small ones near a bright magnitude 10.67 field star. It’s hard to make out too much about these tiny sprites. NGC 5851 has a bright round core and a rather extensive outer envelope that almost looks edge-on despite its “intermediate” classification. NGC 5852 is also an intermediate, but shows a less skinny disk, seeming round at times. The MCG is easy to detect, but is just an elongated smudge. NGC 5669 (H.II.79) is an intermediate inclination barred spiral, an SAB(rs)cd of magnitude 12.03, with a size of 4’x2.8’. This is a big, beautiful galaxy as Herschel 2500 galaxies in Boötes go. I don’t see a stellar nucleus, just a milky bar and two wrapping spiral arms that occasionally swim into existence as the seeing shifts. Once I got going good it was damn the skeeters, full speed ahead. When I hit object number 35, I felt like I was just getting started, and it was only about 11:30 p.m. There’d be plenty of time to make the 50 object mark, my usual goal for an evening at the club site. 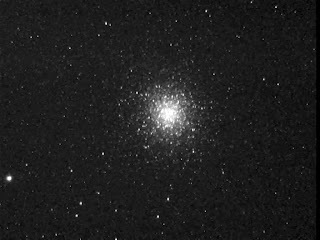 I had just grabbed a sequence of M13—you know I will look at M13 whenever it is above the horizon—and was fixing to punch in a “serious” object when the image on the monitor died. What the frack? I have a horror of my Stellacam II dying. As I’ve mentioned before, it is long obsolete, the original vendor, Adirondack Video Astronomy, is now out of business, and I am not sure I’d be able to get it repaired. There is a new outfit, Cosmologic Systems that is, I believe, selling the Stellacam III, but I don’t know if they could do anything for a II. Looks like it will be next year at the earliest before I am ready to buy a Mallincam, and I would really, really hate being without video for long. Opening my eyes and ears showed the problem was not with the Stellacam. The time display had disappeared from the DVD recorder, and the inverter was beeping its “LOW VOLTAGE” warning. I’d been afraid of this. After about five years of use, my trolling motor (deep cycle marine) battery just doesn’t have much get up and go left. I should have bought a new, higher capacity one before now; I was lucky to have got two hours out of it. At least I’d been smart enough to swap disks after 25 Herschels. If the dying battery had trashed the one in the recorder, I’d only have lost 10 targets. What now? I figgered I’d disconnect and stow the video gear and see what the clock said when I was done. What it said was “still kinda early,” a few minutes before twelve. Time enough to take a look at little comet Garradd, which was riding high in Pegasus not far from M15. To that end, I replaced the Meade f/3.3 reducer with an f/6.3 Celestron reducer/corrector, screwed a visual back onto Celeste’s (ahem) rear end, inserted a diagonal, and popped in my trusty 20mm Orion Expanse eyepiece. Had to get there, of course. I had the coordinates printed out, and it was easy to input them into NexRemote via the “go-to RA/Dec” function of the HC (you can do the same with a non-virtual HC). Keyed ‘em in, punched the go button, Celeste’s CG5 made those weird sounds, and, when she stopped, I put eye to ocular. There it was. Cute little feller. At first glance, it was a small oval fuzzy 5 – 6 minutes across its longest axis. A little staring and not only did I occasionally glimpse a tiny nucleus, I thought I was seeing signs of a small tail. 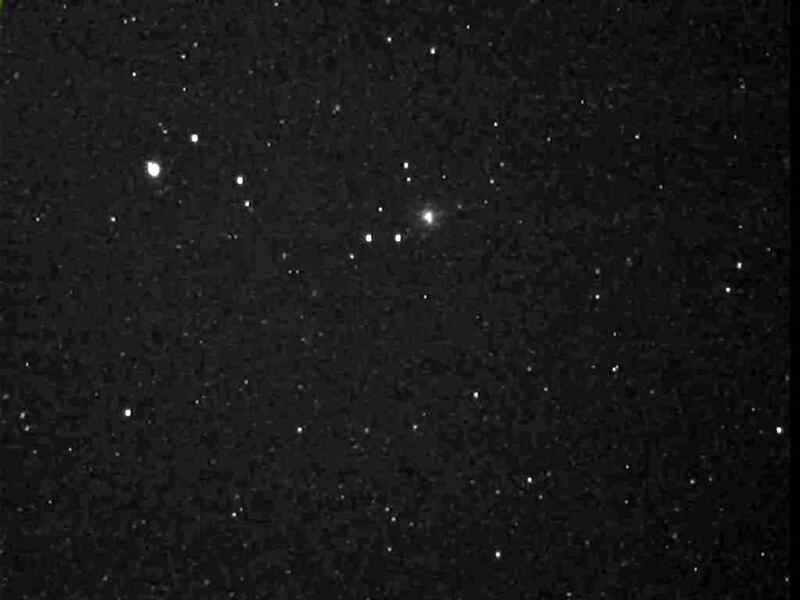 Curiously, the comet didn’t look much better in a nearby 15-inch Dobsonian than it had in the C8. I expected, from what I’d read, for the comet to be about magnitude 9, but I estimated it to be closer to 8. Who knows? Maybe it will do better than “6” in March when it will be at its height. And then? 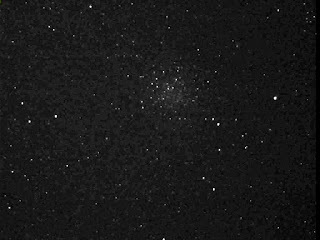 I looked at a Messier or two including M15, but thought they looked a little subdued. Why? Shining my red light on the scope’s corrector plate told the tale. It was beginning to fog despite my fairly high setting of the DewBuster. I cranked up to “12” (degrees above ambient) and the lens cleared fairly quickly, but by then it was getting on to 1 a.m. and I thought it was about time to pull the Big Switch. I’d packed the video gear, but there was still a fair amount to do and a 45-minute drive home. Back at the Old Manse, I reflected on the evening. The star of the show was the CG5. After seven years it still amazes me. Its go-tos are just faultless. Easily as good as Big Bertha’s. Its tracking is sweet, too, more than accurate enough for video. Yes, it makes some weird noises when it is slewing at full speed, but those sounds have become music to my ears. Oh, the disk that was in the recorder when the battery died? I didn’t dare fool with it when I got home. It was late and I was afraid I might do something dumb, even before I imbibed any Yell. Next morning I fired up the recorder and monitor. The recorder immediately threw up a message window asking me whether I wanted to “recover title?” I said “yes,” it spun for a while, said it was done, and I was able to finalize the disk. Yanked it out, slammed it into the PC, and it worked fine. Whew! Final tally? Two needed Herschel 400 objects and thirty Big Enchilada aitches. Not bad for an evening when I had to struggle to convince myself to load up a ton of gear and head for the dark site. I can’t promise I’ll always have the gumption to defy heat, humidity, clouds, and bugs, but I’m glad I did this time. If y’all would like to see my Herschel Project Update video live from the PSAS observing field, go here.